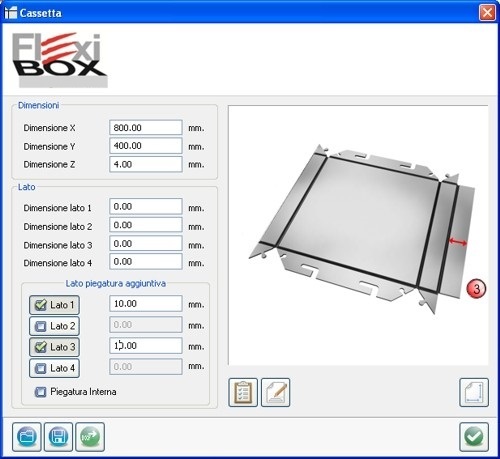 Flexibox is a software created for generating drawings in DXF format which will be used to produce aluminum cassettes. 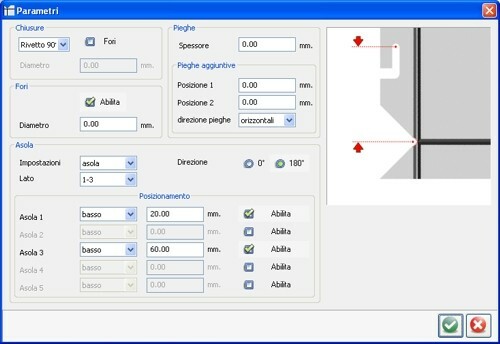 In addition to creating individual cassette drawings, it can also create drawing for nesting optimization.. 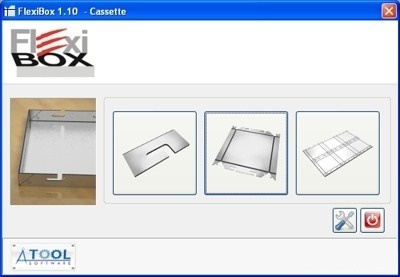 The first one allow the users to define the slots that cab be used in the drawing of the cassettes. 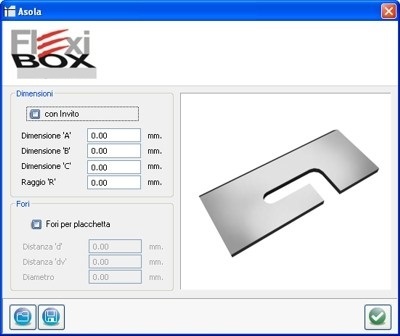 The second one, allow the users to create a single aluminum cassette with a lot of different type of information like the dimensions of the cassette, the extra additional sides, the creation of boring for the folds, different types of closures (puzzle, rivets or rivets 90°), the presence of the slots (already defined in the first part of the program) and the possibility to create tabs all around the cassette to mantain the cassette itself connected to the acm sheet during the machining. 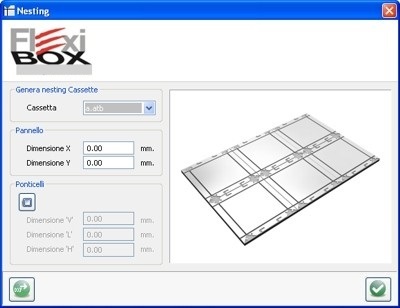 Finally, after saving the project of the cassette, we can pass to the creation of nesting.